From warm and inviting to sleek and modern, there is no wrong look for a kitchen. If you have been asked to conduct a kitchen remodel for your client, it is time to stop by ProSource® of Collinsville. We can help you choose from the top brands in the industry while still offering wholesale pricing. Feel free to send your client our way so they can select the exact elements they want themselves or stop by on your own to design the space for them. 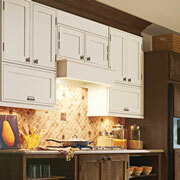 Stow away the clutter with the right kitchen cabinet space. Help your clients choose from our array of options. From smooth handle-free fronts to ornate cabinetry, we carry something to fit every kitchen design. 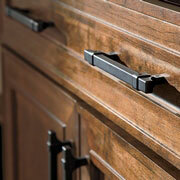 Find the perfect accents to your chosen cabinets when you shop our selection of cabinet hardware. Knobs, handles, and more all help to complete the look of a kitchen remodel. We are proud to offer the highest quality brands. 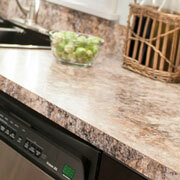 Our countertops are built to be both beautiful and durable. Shop granite, quartz, marble, and more when you visit our showroom in Collinsville. 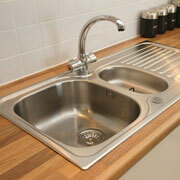 A kitchen sink should fit the home it resides in. Find the right size, style, and material for your client’s needs. We carry everything from small single-basin sinks to large three-basin sinks. We can help you choose what is right for the space you are designing. Want to design a luxury kitchen with hot water on tap? Looking to add some functionality with a sprayer faucet? We can work with you to put together the right plan. 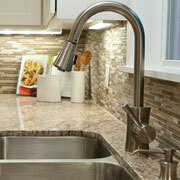 Choose from our assortment of kitchen faucets.